The sweet spot for most users is here, sandwiched between the basic budget iPad and the pricey iPad Pro. Starting at $499 with 64GB of storage, the iPad Air is a set of compromises and tradeoffs that may be just the thing for users who want more than an iPad but don’t want to pay steep Pro prices. Compared to the 9.7-inch iPad, the iPad Air is a significant upgrade. Sure, the entry-level configuration of the iPad Air costs $170 more, but you get a lot of bang for your buck. The most obvious difference is the form factor. The iPad Air is just slightly bigger (9.8 x 6.8 inches to the iPad’s 9.4 x 6.4 inches) and has slightly smaller bezels, giving room for a more generous 10.5-inch display. Despite being a little bigger, it’s also a few grams lighter and 1.4 millimeters thinner. Holding it gives the impression that it’s a lot less chunky (iPad Air indeed) though it’s not quite as thin as the new iPad Pro. If you’re familiar with the older 10.5-inch iPad Pro, you’ll notice almost no difference here. In fact, the dimensions are so similar that this new iPad Air is meant to use the same Smart Keyboard as the 10.5-inch iPad Pro from 2017. Sure does look like the 10.5-inch iPad Pro, doesn’t it? Sticking with the old iPad Pro 10.5-inch design means a couple of other things of note. One, you still have a headphone jack, which the new iPad Pros do not. Two, it has a Lightning connector for charging and accessories, rather than the new iPad Pro’s USB-C. That’s either good or bad, depending on what other gear you have. I do wish Apple would make up its mind and standardize around one connector. Inside, the changes are more significant. The iPad Air has an A12 processor, 3GB of RAM, and starts at 64GB of storage (a 256GB option is $150 more). That’s an enormous improvement over the iPad’s A10, 2GB of RAM, and 32GB of storage (with 128GB option for $100 more). The iPad Air is slimmer and lighter than the iPad. 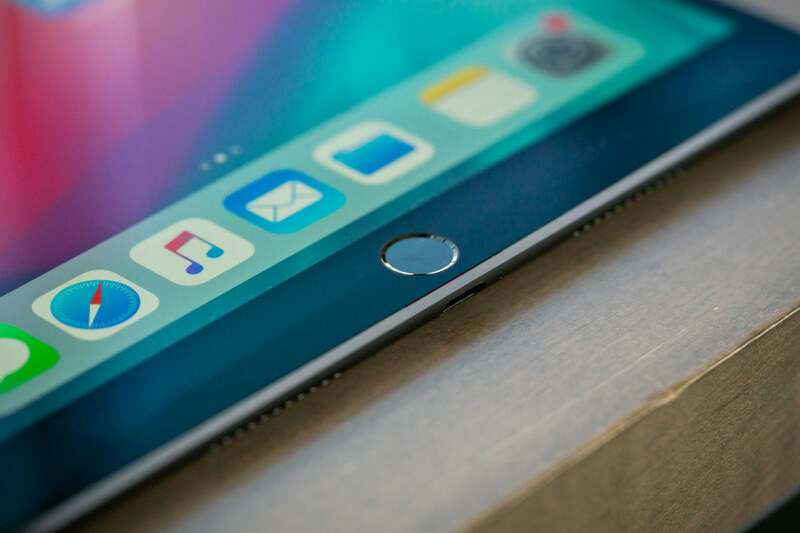 In performance benchmarks, the new iPad Air runs circles around the 9.7-inch iPad. 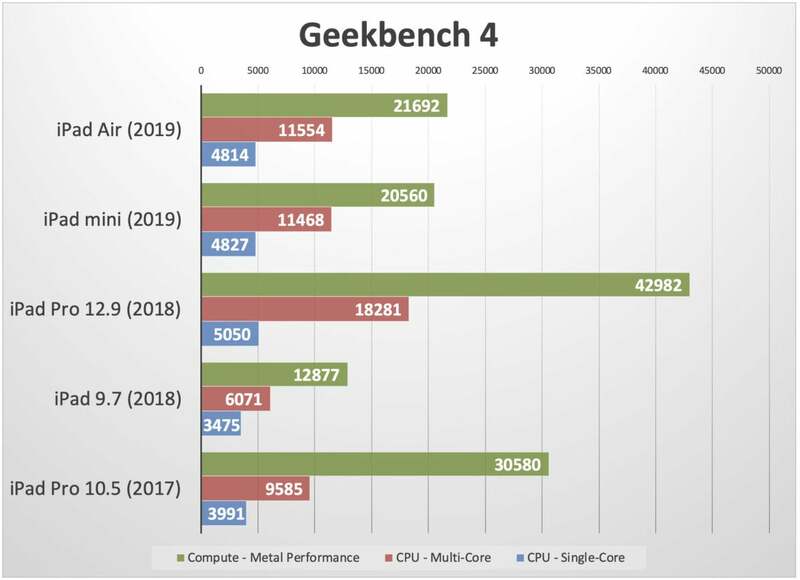 CPU and graphics performance are both between 75 percent and 100 percent faster, depending on the test. It’s a difference you can really feel when running intensive tasks like gaming or video editing, though normal everyday activities like email and web browsing are already so fast you won’t notice much of an improvement. Let’s not forget that the A12 has Apple’s second-generation Neural Engine to speed up machine learning and AI computation, while the A10 has none. The battery lasts a lot longer, too. 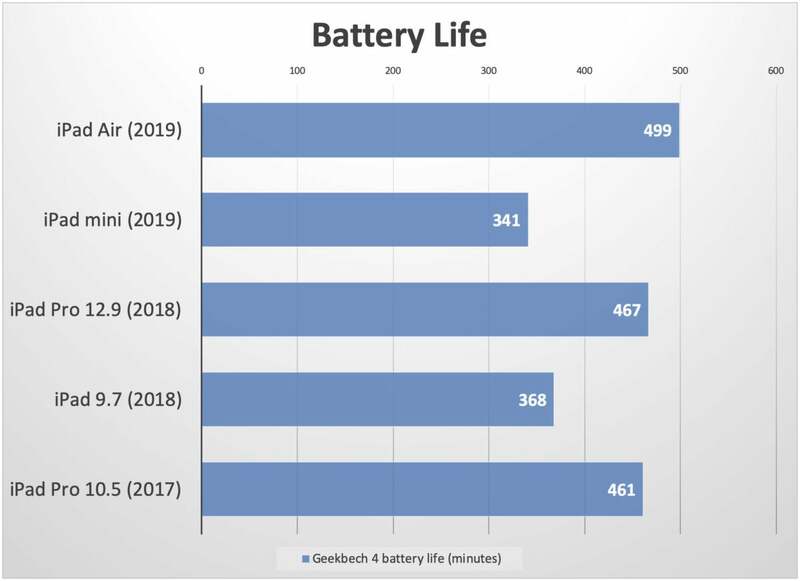 In our Geekbench battery rundown test, the regular iPad ran for 6 hours 8 minutes while the new Air ran for 8 hours 19 minutes—35 percent longer! It’s a lot faster than the iPad, but doesn’t come close to the iPad Pro. For $170 more than the 9.7-inch iPad you get a slightly larger yet thinner and lighter tablet with double the performance and storage space. That’s a good deal! While the new iPad Air resembles the 10.5-inch iPad Pro from 2017, it is distinctly not a Pro model. Apple reserves several key features for its Pro tablets that you won’t find here. There’s no ProMotion display—instead of the variable refresh rate that tops out at 120Hz, you get a fixed 60Hz refresh rate. That means you don’t get crazy-smooth scrolling and reduced Apple Pencil latency. Oddly enough, the Air does have a couple other display features you’ll find in iPad Pros. It has the wider DCI-P3 color gamut and True Tone, both of which are missing from the least-expensive iPad. Yes, there’s Apple Pencil support, but only for the old Lightning-style Pencil, not the slick new wireless one. The iPad Air supports Apple Pencil, as all iPads now do, but not the slick new wireless-charged Pencil that works with the iPad Pro. Rather, it works with the old Apple Pencil that charges by sticking the back end into the Lightning port (don’t lose the cap!). It’s an awkward design that we’d like to see Apple move on from; maintaining two “Apple Pencils” with the same name but different features and mutually exclusive compatibility is a mess. Battery life on the iPad Air is fantastic. The A12X processor in the iPad Pro is a lot faster, too. It’s got an extra gigabyte of RAM, four high-speed CPU cores (instead of two in the A12), and seven GPU cores (versus four in the A12). 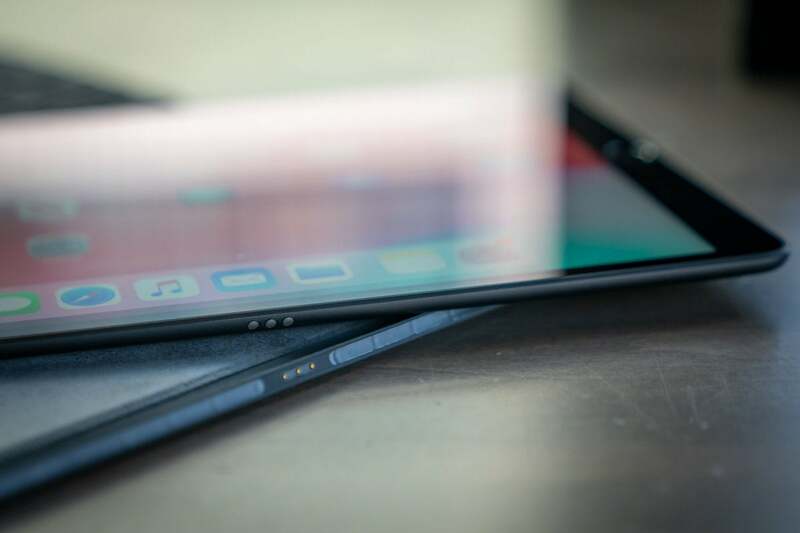 As much as the iPad Air blows the doors off the iPad, the latest iPad Pro leaves it in the dust. If you want Face ID, you’ll have to spend hundreds more for an iPad Pro. Then there are other Pro features, like the TrueDepth sensors for Face ID and Animoji (and the slimmer bezels that go along with that), and quad stereo speakers (two on each side). That’s something you’ll notice every time you watch a video and hear the sound oddly coming out of one side of your iPad. It’s a real step back. The latest iPad Pros also have a superior 12MP camera capable of 4K video recording while you’re stuck with an older, 1080p-limited, 8MP camera on the iPad Air. It’s not a bad camera for a tablet, it gets the job done, but nothing more. The iPad Pro costs $800 and up (way up), with the keyboard case and Pencil sold separately, so it’s even harder to recommend it to the average iPad buyer. But the gap between it and the basic iPad in features, performance, and price is just too wide. While I think Apple’s product lineup is getting too big and complex, we legitimately need a solution in the middle, and the iPad Air fits in nicely. For $499 you get a huge step up in features, performance, and storage over the $329 iPad. 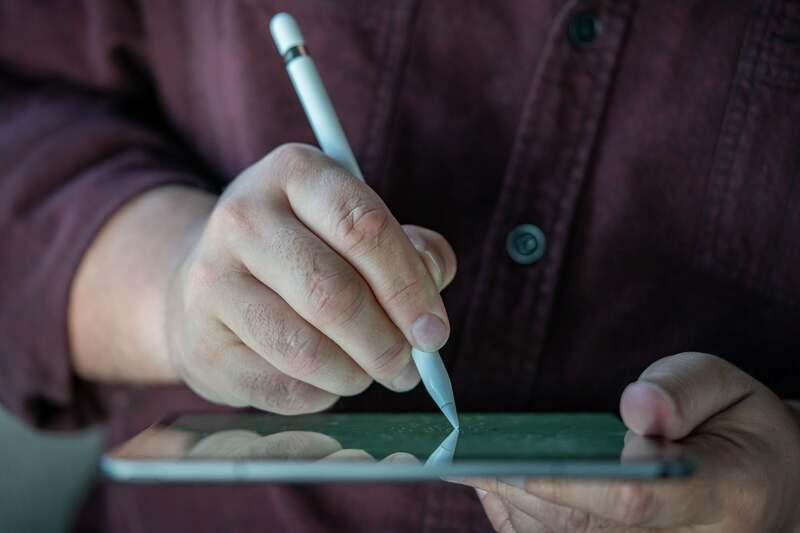 You miss out on a number of benefits of the iPad Pro: a ProMotion display, quad speakers, Face ID, a superior camera, faster A12X processor, and support for the new-and-improved wireless Apple Pencil. 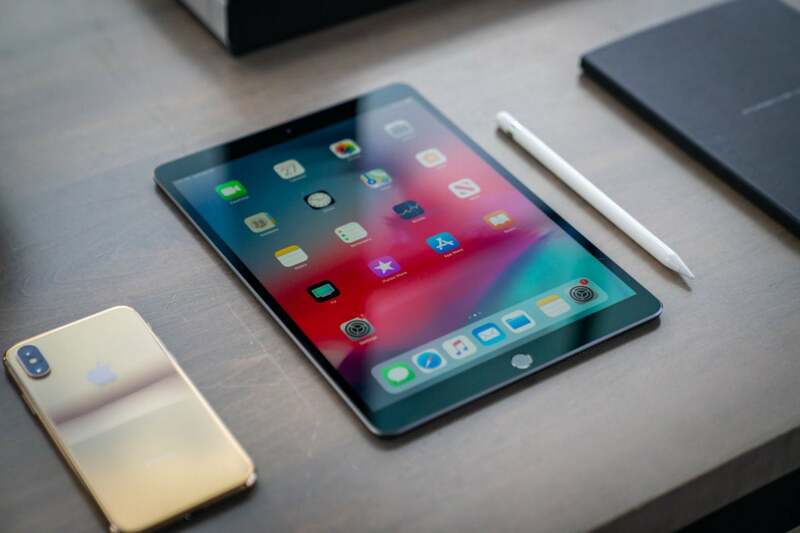 But you get most of what the average iPad buyer wants most: a fast modern processor, plenty of storage space, a wide color display with TrueTone, Pencil support (first-generation), and yes, a headphone jack. I should mention that the 10.5-inch iPad Pro is a better buy if you can find it at a discount (it’s now discontinued, but refurbished models are available). The A10X processor is nearly as fast as the A12, the size and weight are the same, and battery life is similar, but you get quad stereo speakers and a ProMotion display. Absolutely nothing about this iPad Air is new. 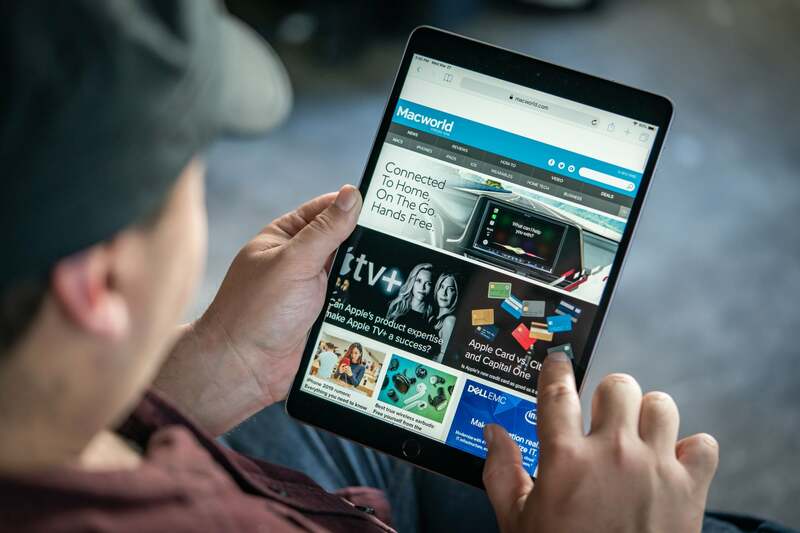 It’s an oddball collection of regular-iPad and Pro-iPad features that may not excite technophiles looking for the latest advancements, but delivers the right iPad at the right price for most users.